There’s a penalty Minnesotans are paying for electing divided government. That penalty comes in the form of higher taxes, more intrusive regulations and a regulatory structure that gives special interests too many bites at the proverbial apple. When the DFL ran St. Paul in 2013-14, they rammed huge tax and spending increases down our throats. That’s when Minnesota became less competitive in terms of business environment. The truth is that Minnesota has an outmigration of wealth and talent for years. It isn’t just retirees, either, moving to warmer climates. It’s young people moving to other states to start businesses where taxes and regulations aren’t oppressive. The regulatory regime isn’t the same as the regulations. For PolyMet to start operations, they have to get approval from the DNR, MPCA, the Department of Health, the Board of Water and Soil Resources (BOWSR), the Public Utilities Commission in addition to local watershed districts and other regulators. It isn’t surprising that people — and wealth are leaving. Within the executive branch, there are close to 2 dozen regulatory agencies. They include the MPCA, BOWSR, the DNR, Department of Health, Met Council, the Public Utilities Commission, the Board on Environmental Quality, the State Climatology Office, the Department of Commerce, the Board of Energy, the Minnesota Forest Resources Council, the Minnesota Geological Survey, the Minnesota Indian Affairs Council, the Office of Energy Security, the Office of Pipeline Safety, just to name a few. The point is that the DFL has controlled at least one part of government my entire adult life. It has created a convoluted system of government that’s stuck in the Twentieth Century. The DFL insists on maintaining a mainframe government in an iPad world. Gov. Dayton and then-Lt. Gov. Tina Smith ignored welfare fraud, elder care abuse and overseen IT disasters like MNsure and MNLARS. When the DFL had majorities in the House and Senate and Gov. Dayton was governor, they raised taxes and raised the state minimum wage, then indexed it to inflation. Further, the DFL hasn’t reformed anything like the IRRRB or the Met Council in forever. They’ve participated in scandals like the Action Minneapolis rip-off, too. 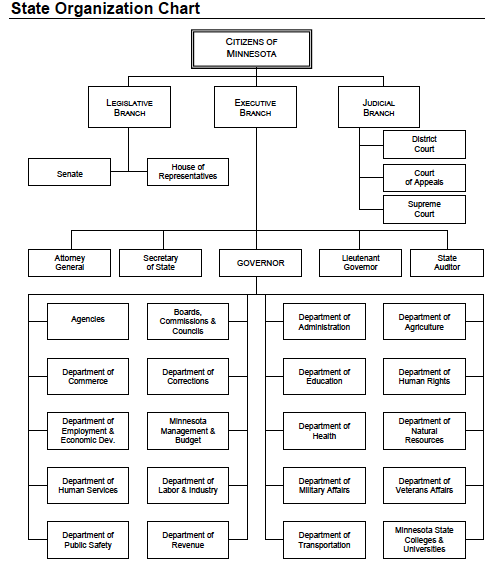 Considering all those things, I can’t justify why they should hold any levers of power in St. Paul. 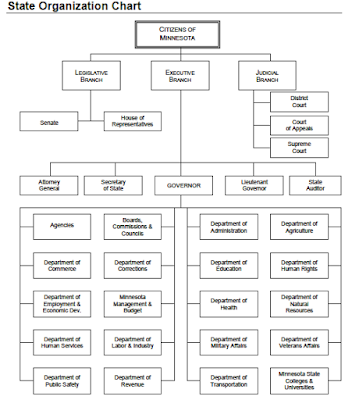 Doesn’t the legislature by budget control the structure of the executive? Bums in the legislature, out, I am with you on that – just a different set of bums that I’d name. I battled the DNR, MPCA, the Board of Water and Soil Resources (BOWSR), and the Middle-Snake-Tamarac Watershed District, and won, only to have my victory taken by the 2015 Republican Legislature. The battle was about the Buffer Strip Law which grants the State easements along surface waters and ditches. It violates Article 1 of the Minnesota Constitution requiring just compensation, the U.S. Constitution’s Takings Clause, Due Process Clause and the Anti-Slavery Amendment because landowners are forced to plant vegetation. At least 3 counties refuse to implement this law. You didn’t pay attention in Civics class. Yes, the legislature can pass bills that shut down the Met Council, etc., but the idiot DFL gov. can veto. Right now, the DFL’s plan is stupid beyond belief.